Originally slated for publication in 2013, Fantagraphics had to postpone their reprint of Herge's 'Peppy and Virginny in Lapinoland' along with a slew of their European projects after the passing of co-founder and lynchpin, Kim Thompson. 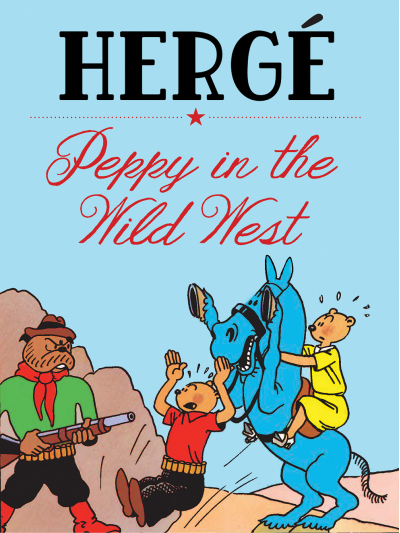 But the good news is that the Euro train seems to be in business once more; Maurice Tillieux's long-awaited Ten Thousand Years of Hell hits shops in July, and now Peppy will follow in September, in full colour and with a reworked title: 'Peppy In the Wild West.' A 1934 all-ages anthropomorphic (bears! rabbits! dogs!) 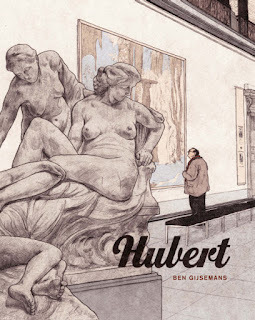 work by Herge, this edition will mark the first English-language translation of the work in over 50 years; Tintin publishers Methuen previously released a version which was distributed in the UK in the 1960s. The book will be 56 pages in length and given a spiffy hardback treatment. I'm looking forward to this as a Herge fan, but I also don't expect it to be anything other than another poor entry in Herge's oeuvre with regards to racial caricature (even within anthropomorphic portrayals), specifically here in its depiction of Native Americans: the very story of 'plucky enterprising foreigners encroaching on local business and land' seems tilted to that end.